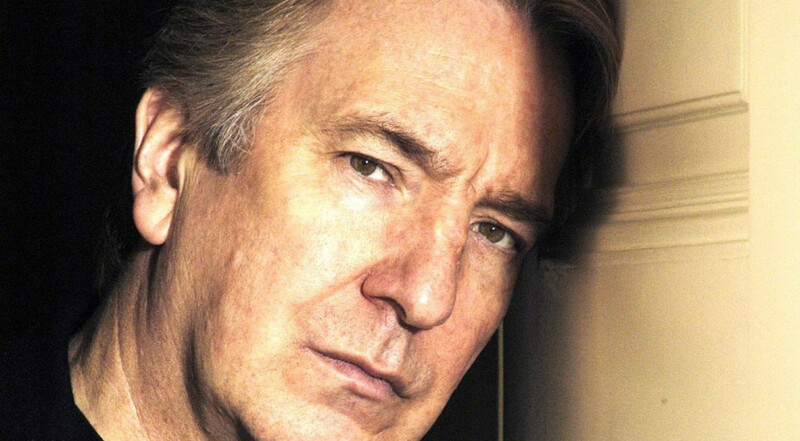 Thursday we got news of the passing of theatre and film legend Alan Rickman, just days after fellow Brit artist David Bowie lost his battle with cancer, Rickman succumbed to the disease at the same age, 69. The internet was flooded once again with tributes, condolences, anecdotes and information on lesser-known parts of Rickman’s legacy. That didn’t sit well with some who took to Twitter to argue that Watson was somehow exploiting Rickman’s death to push her own agenda. While these people are clearly trolls, they also don’t know Alan Rickman as much as they may think. He was a very mainstream movie star, but he was also quite vocal about his progressive politics. For most people, Alan Rickman was and will always be Snape in the Harry Potter films. For me, though, he will always be Hans Gruber, the German leader of a group of high-tech thieves masquerading as terrorists in the original Die Hard (not going to say spoiler alert on a movie released in 1988). Playing Gruber turned Rickman into a movie star, but becoming top Hollywood talent didn’t turn off his desire to do things artistically for the right reason, even if it meant not playing it safe career-wise. This became crystal clear in 2005. American-born Rachel Corrie travelled to the Gaza Strip in 2003 as part of the International Solidarity Movement. The 23-year-old was there to protest Israel’s illegal demolition of Palestinian houses. An Israeli soldier ran over her with an American-made bulldozer, killing her. 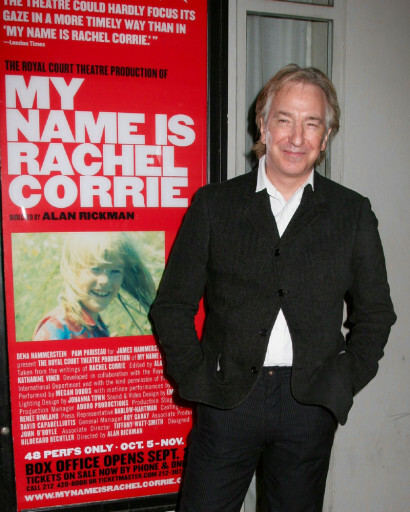 Two years later, Rickman and Katharine Viner, a writer and editor at The Guardian (now its editor-in-chief) compiled writings in Corrie’s diary and emails she sent back home to the states and turned them into a one-woman play, My Name is Rachel Corrie, which Rickman directed. It was a success when it first opened in England at London’s Royal Court Theatre and in other places including Haifa. Rickman and Viner, with support from Rachel’s parents Craig and Cindy Corrie, coordinated a global series of readings called Rachel’s Words. Full disclosure, I was part of the Montreal event which combined readings of Corrie’s emails and diary entries with a verbatim theatre retelling of what happened with the New York production. My Name is Rachel Corrie did eventually open in New York properly in 2006 at the Minetta Lane Theatre in Greenwich Village. 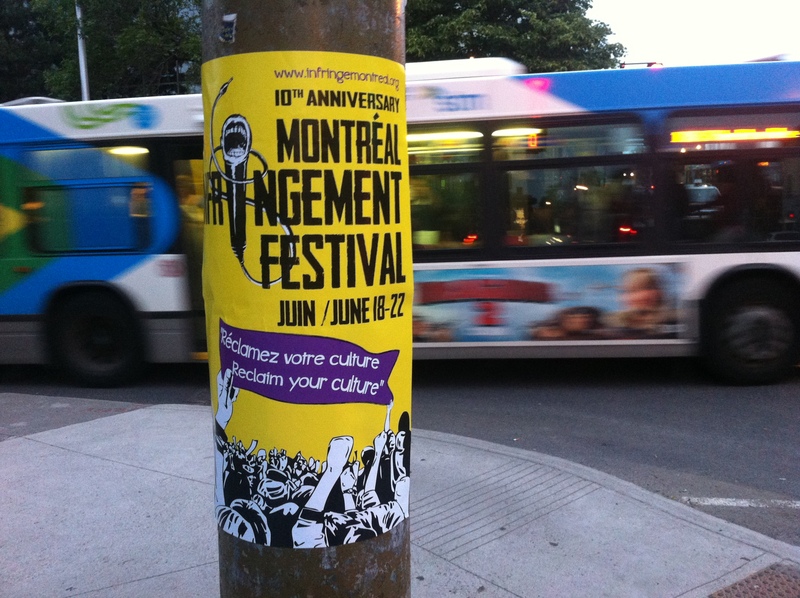 It also ran in Montreal presented by Teesri Duniya in 2007 and the same production moved to Vancouver in 2008. 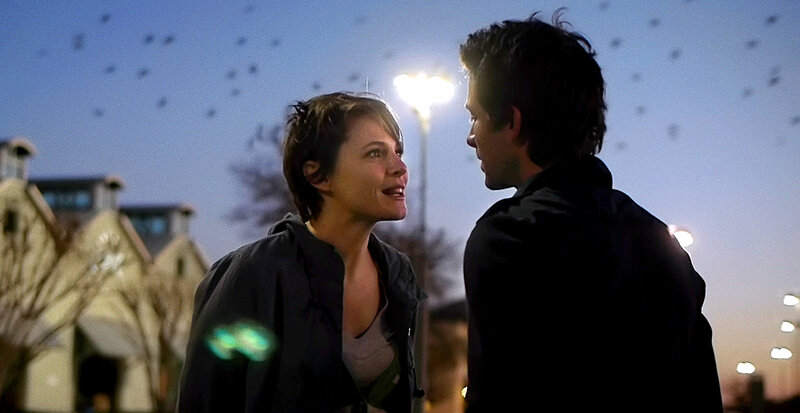 It is still being performed around the world, the most recent staging happening in 2015. Now think about this for a moment. The whole time that Rickman was busy editing, directing and eventually fighting for a play that he believed in by standing up for both a work of art and Palestinian solidarity, something that could cause him problems with some potential audiences, he was also starring in and doing promo for uber-mainstream Harry Potter blockbusters. Talk about multitasking. Talk about dedication to a cause no matter what else is going on in your life. Rickman embraced his celebrity status but didn’t let it prevent him from doing the work he knew needed to be done. While most will remember Snape, Gruber and his other unforgettable roles, it is important to also remember Alan Rickman’s work on My Name is Rachel Corrie and the fact that he was a man of principle who brought his progressive beliefs to his work. That’s what he would want us to remember.